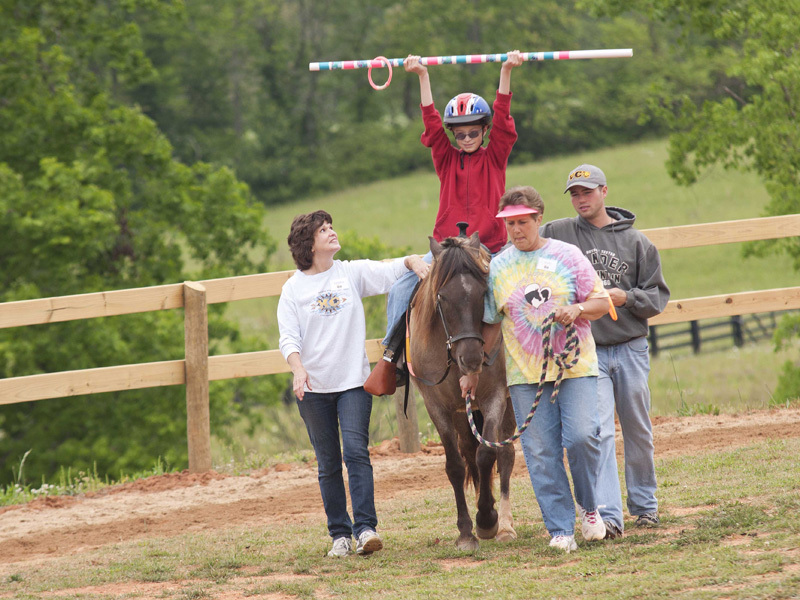 Therapeutic horseback riding benefits almost any disabling condition including: cerebral palsy, autism, down syndrome, head injuries, hearing impaired, visually impaired, multiple sclerosis, seizure disorders, speech & learning disabilities, and sensory integration dysfunction. 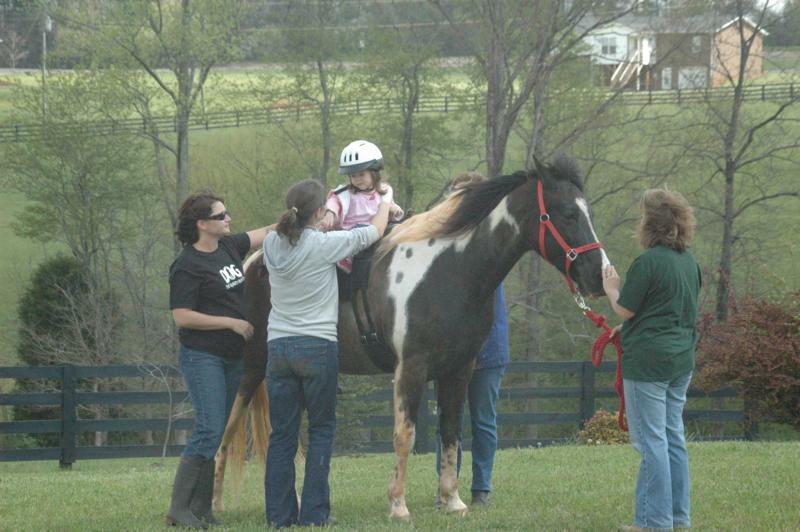 The physical, mental, and emotional benefits of therapeutic horsemanship are many. The rhythmic motion and warmth of the horse stimulates and exercises the rider’s muscles increasing mobility the pelvis, hip, and spine. The rider experiences weight shift and trunk mobility as if he were walking on his own. As the horse and rider progresses through their different gaits, the rider experiences a wide range of sensory input. At a walk, the rider benefits from the calming effort of the rhythmic, three-dimensional movement. As the horse moves to a trot, the rider’s alertness is increased, his posture aligned, and he becomes more aware of his own body. Riders respond to this movement. During the lesson, activities and exercises take place to encourage speech, identify objects, and sequence multiple tasks. Students also participate in games and socialize with other students.